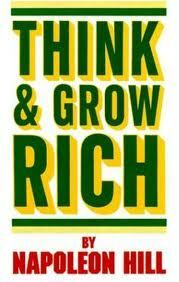 Napoleon Hill wrote Think And Grow Rich a book I've found to be a motivational coaching tool. I read this book daily and it has over the years helped me to deepen my core belief . The book is filled with learning and the power of the universal Law of Attraction. When I first read this in Think And Grow Rich I resonated with the words Napoleon Hill wrote. Without that initial thought and the follow up nothing will happen.